Are you one of those people who think of RPGs as games with lush environments, vast green fields, dark enchanted forests, spunky heroines, brave but naïve heroes and a soundtrack that soothes your soul? Well, think again. Atlus brings to us a very dark RPG adventure with blood and gore, lost lives and memories and concrete buildings in a dead world where it always rains. Welcome to the Junkyard. 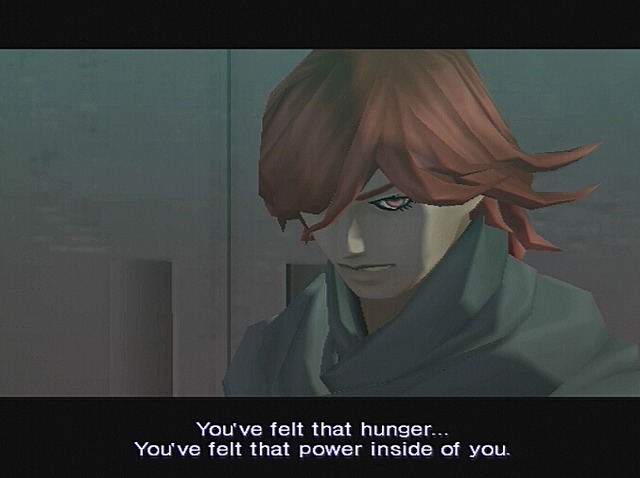 This is the first Shin Megami Tensei-game I’ve ever played and before DDS I had never even heard of the series. Apparently it started a while back with the first game being released to the SNES. Based on screenshots from that game, a lot has changed. The world that is called the Junkyard is home to Serph, Argilla, Gale, Heat and Cielo. They are all part of the Embryon Tribe. This world consists of tribes and right now a war is being fought. One day they discover a strange orb on the battlefield, which suddenly explodes. When everyone comes to, each person is marked with a sign, like a tattoo. 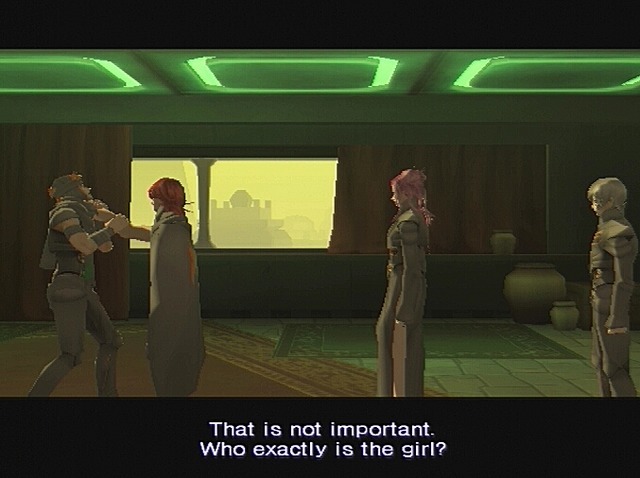 Serph and his comrades discover a girl that was inside the orb. What’s more is that they have been turned into demons and the only way for them to stay alive is to devour other people or demons. Sera – the girl they found – has special powers that help them resist the demon within them and needless to say, every other tribe in the Junkyard want to get their hands on her. 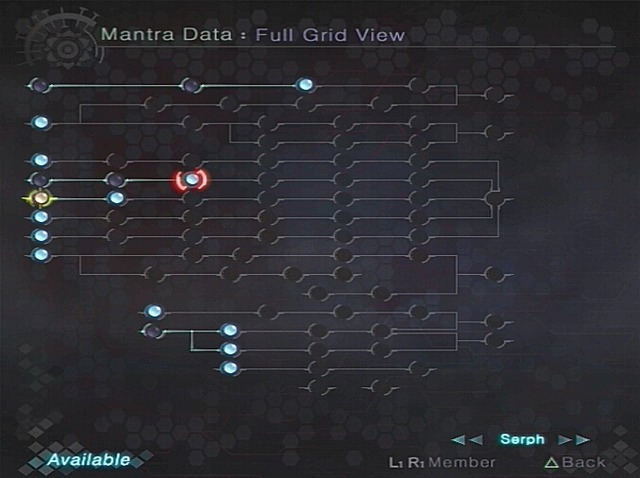 It is now up to Serph and his gang to take Sera to Nirvana, the ultimate goal and the only place where they will learn more about her. Ok, now that we’ve got the plot covered, let’s get down to game basics. Like graphics. Since the game is from 2004 the graphics look a bit outdated from time to time. 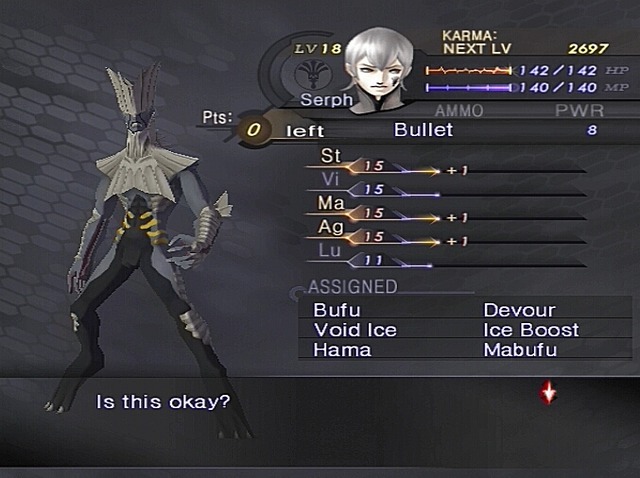 When Serph and the rest are in human form they look fine, but as demons? Whoever made these designs must’ve been joking or been drinking too much. Take Argilla for example. Her breast have mouths with fangs and they are the ones talking – not her head! I don’t care if she’s a demon or not, it’s silly! And basically all other demons look bad too. 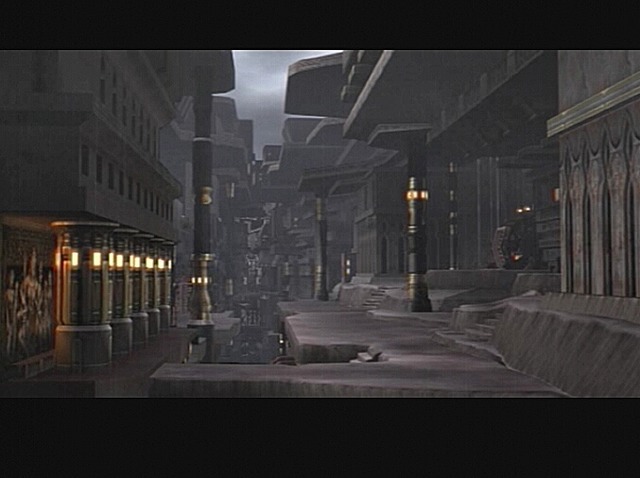 Esthetics aside, how does such a depressing plot play in these depressing environments? Well, to tell you the truth, I hate the dungeons. They are almost always the same. Turn left, turn right, enter different levels, run down a long corridor, turn left, turn right… The surroundings are repetitive as well. And the size of these things! I am not kidding when I say getting through a dungeon can take 2 hours or more. I’ve glanced at other reviews about this game and it appears to have gotten rave reviews from almost every game site out there. Why?! The story is too thin and now when I’ve played 24 hours and gotten myself to the final dungeon, finally some real interesting stuff is unfolding, but it appears they will be saving all the info for the last scene. 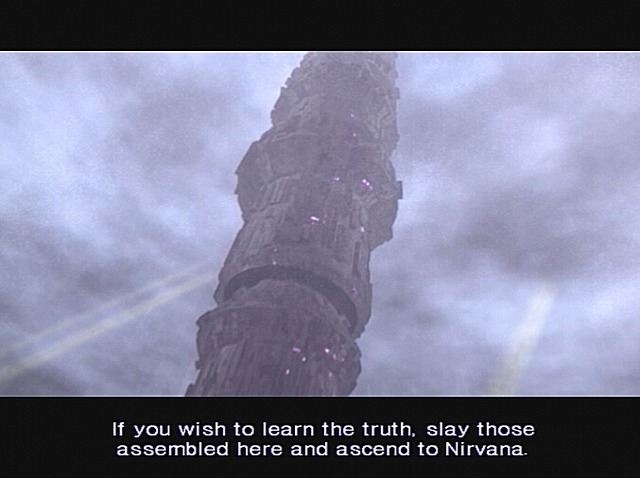 Whereas I would have wanted at least some of it inside the game’s frame. So, huge dungeons – check. Random encounters? Check. And lots of them! God, that’s annoying! 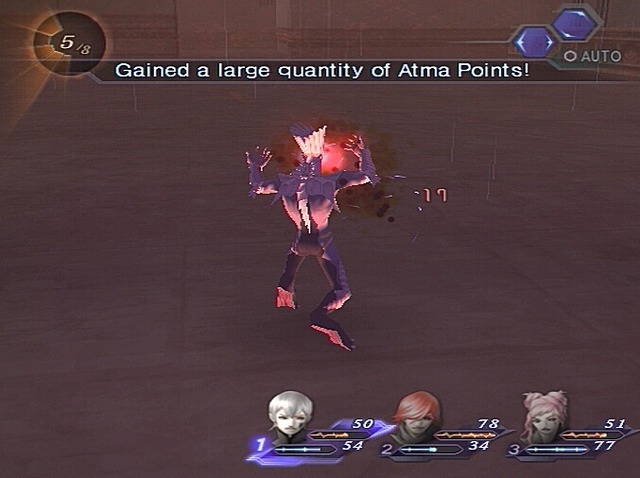 Not to mention how boring the actual fights are, despite you being able to transform into demon form, revert back to human form and you get different combo attacks based on what form your characters are in and what skills they have equipped. It’s not enough. Same thing over and over again. Also, this game has some of the worst music I’ve ever heard. I hated the battle music for Chrono Cross, but this is almost more painful. Electric guitars playing some off key tune, slow beat songs that never pick up the pace – which is what happens in the fights too. It’s never really interesting. And boy did I retreat a lot just so I wouldn’t chuck the controller at the TV due to my frustration. Voice acting is actually good, except poor Cielo who’s become a Rastafarian from Jamaica. Probably because he’s the only one who has a few funny lines. What, they can’t pull it off without a silly accent? Speaking of voices, guess who’s without one? That’s right – our “hero”! Come on people, that is so 1990’s! But the sound quality if this game is really embarrassing, and also the timing of sound effects on some occasions. If Heat is the one delivering the finishing blow to an enemy, he will make a roar and bang his chest (yes, like an ape). Problem is – the sound starts before the banging and thus he will bang his chest with no sound. Lame! Also, the sound is really bad, it’s like he’s banging on cardboard or something… Enemies have sounds ranging from all the farm animals you can think of to cute little Japanese shrieks. It’s so surreal I can’t even describe it. But the horror, oh the horror! Despite all these things, I managed to keep on playing. I leveled up, learned new skills and beat those nasty dungeons in hope to see more of the plot being revealed. More character development and such. And it’s there somewhere, but in such tiny doses. I wanted more. The Junkyard is such a sterile place; a few more cut scenes would’ve been a nice treat. But other than that I don’t know what kept me pushing forward. Just to write this review? 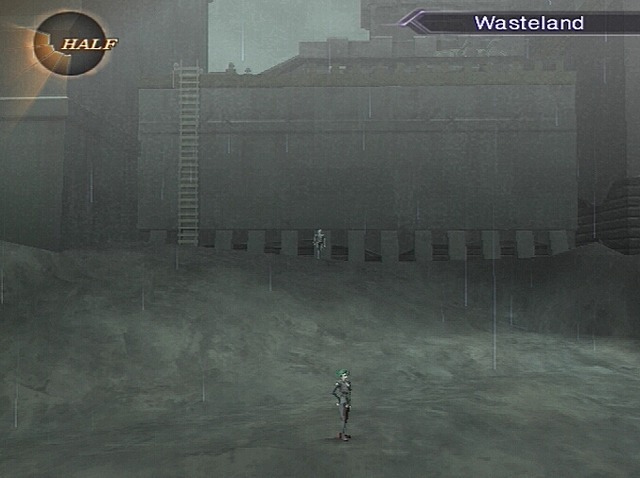 No, I could’ve just as easily turned off my PS2 off after the first two hours and never looked at this game again. There’s something there, but I can’t figure out what it is. Perhaps it’s in the big contrast compared to the colorful, cheerful RPGs that I usually play. There is some spirit to this game, but due to its dark appearance it manages to hide it – almost too well.